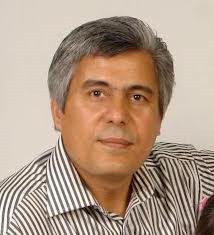 Pastor Behnam Irani’s days may be numbered. 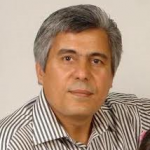 As an Iranian Christian pastor already imprisoned for his faith, he now faces the death penalty after recently being given the new charge of “spreading corruption on earth.” In 2011, he was sentenced to five years in prison for his Christian activities in Iran, but this new charge brings with it the sentence of death. It seems that these charges against Pastor Irani are consistent with the persecution other Christians are facing in the country since Hassan Rouhani became the new president in Iran. Christianity is growing significantly in Iran, and the radical, Muslim leader evidently feels threatened by the number of new Christian converts. Pastor Irani is already quite ill, but this new charge against him is very serious in this country where being a Christian is considered a threat by national leaders. Once again, the persecution of Christians has found its way into the headlines of global news. How should we respond to this? It would be easy for us to think, “Well, that’s many miles away in an Islamic nation,” and excuse the thought from our minds. However, we must remember that Pastor Irani is a part of our spiritual family. The Bible says that when he suffers, we suffer with him (1 Cor. 12:26). It is also our responsibility to pray for Pastor Irani in his time of great need. We should pray for his strength and courage as well as for his witness as he continues to shine the light of Jesus even in the darkness of an Iranian prison. As antagonism grows toward Christianity, one must wonder if this kind of persecution could ever come to the United States. While we see small examples of Christians being persecuted in our country, is it possible that we will one day see Christian leaders thrown into jail her in the U.S. for “spreading corruption on earth?” The Bible speaks of persecution of Christians in places like Matthew 5:10-12: “Blessed are those who have been persecuted for the sake of righteousness, for theirs is the kingdom of heaven. Blessed are you when people insult you and persecute you, and falsely say all kinds of evil against you because of Me. Rejoice and be glad, for your reward in heaven is great; for in the same way they persecuted the prophets who were before you.” Notice in this passage, Jesus said “Blessed are you when…” He didn’t say, “if.” Jesus seemed to be telling the Church to expect persecution. Jesus also told us in Matthew 24 that persecution of Christians would become commonplace during the last days. Do you think we can expect to see Christians persecuted at a greater level in the days to come? How do you think the Church in America will respond to persecution? Share your thoughts below and pass this blog along to a friend for their comments by clicking on the appropriate social media button. This entry was posted in End Times, Evil, Last Days, Prophecy by timriordan. Bookmark the permalink. I wanted to share this on facebook, but for some reason I can’t. Very good article! Thanks Beth. I had someone comment to me about persecution around the world today. He pointed out that sometimes God allows Christians to die for their faith, so as we pray for Pastor Irani, it probably should include prayers for courage to die well while standing firm in his faith. That is kind of a chilling thought, but God has allowed many Christians to die for their faith throughout history. Maybe we are entering into a time like that – at least in other places in the world. I am praying for God to have this pastor released, but I am also aware that God may somehow be glorified in his death. Thanks for sharing your thoughts.